We hold events to provide information about funding opportunities and how to make a successful grant application. Check out our calendar for future events. organisation, just get in touch. Thousands of funding opportunities at your fingertips! Not sure where to look for funding for your charity or community project? Not enough time to find funding sources? Finding it difficult to keep up to date with funding opportunities? TVA provides a FREE service to TVA Members – access to the funding database GRANTfinder, providing information on thousands of funders. We will get you started and help you search the database. It is easy to use. GRANTfinder is a leading grants database, providing funding opportunities across the UK and around the world, with daily announcements, updated continuously. Tailor your search to the needs of your charity or project, save time identifying the best funders and improve your chances of securing funding for your good cause. Ask about becoming a TVA Member for reduced rates on some of our services. To book a session, or for more information contact info@tva.org.uk or call 01883 722593. Funding alert! 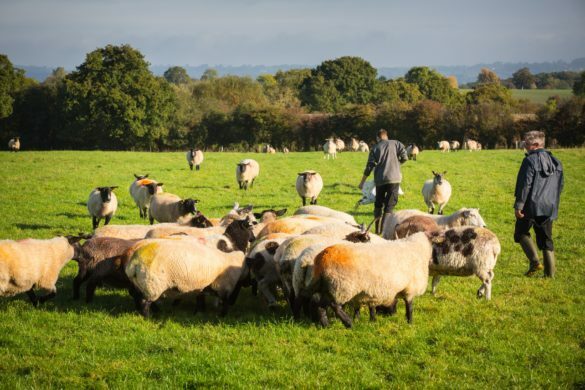 Grants of up to £50,000 available from the @countrysidefund for rural projects in England, Wales, Scotland & Northern Ireland. Projects must provide a long-term positive impact to the individuals & communities they seek to benefit! Tesco are going to be opening a new store in Lingfield and they want to have local projects voted in this store when it opens. If you have a project you could apply for please submit an application by the 21st January, they will accept applications after this date as well but to increase your chances of being please apply now! The Tesco Bags of Help scheme is currently opening up a new round of funding for grants of up to £4k to community groups who ‘support local projects, that benefit the community’. Examples of some of the types of projects we support are improving community buildings, improving outdoor spaces, buying new equipment, training coaches, volunteering and hosting community events. Competition for the scheme is fairly low so to take advantage of this please apply as soon as possible. Tesco recommend that you apply for the maximum grant of £4,000, clearly demonstrating the need for your project in the application and if possible being flexible with project timings. Also please see attached the application guidance notes which can guide you through the application form. In the application please put your nearest Tesco as Edenbridge Express (TN8 5AD) as they have not yet opened the Lingfield store, but please put a Lingfield project address down as well. If you have any questions or would like to discuss a project idea please feel free to get in touch with Ben Smitton, Community Enabler, Groundwork South, Office: 01273 022320, Mobile: 07736132698′ Email: Ben.Smitton@groundwork.org.uk. Also do share this opportunity with others! Friday 11th January to be considered for this round! If you are yet to submit your interest, you can do so using the form below. The Grants team will review it against their fund criteria and get back to you quickly. 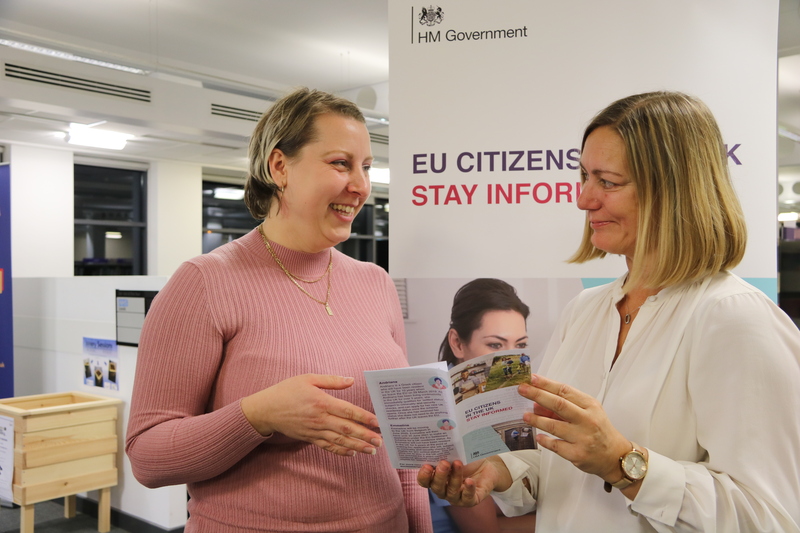 As you may already be aware, the Home Office is pleased to announce the launch of up to £9 million of grant funding, available to voluntary and community sector (VCS) organisations to help vulnerable or at-risk EU citizens needing additional support when applying for the EU Settlement Scheme (EUSS). We would be grateful if you could ensure that organisations you work with who may be interested are sent this information. The Home Office is keen to get as many responses as possible to ensure that communities get the support they need. We would also be grateful if you could share information about the opportunity to apply for grant funding on social media. I have attached a photo to this email and you can download a video here. These can both be used when promoting the grant funding application. (Note the wetransfer link for the video will expire on Thursday). Funding is available for not-for-profit voluntary, community and social enterprise (VCSE) organisations in England to run projects focused on improving children and young people’s mental health. Erasmus Plus is the EU Programme for lifelong learning. It supports formal, non-formal and informal learning across all sectors including Higher Education, Further Education, adult education and schools. The aim is to boost skills and employability as well as to modernise education and training across Europe. Applications are invited from existing schemes to trial a new approach to helping children and young people. The deadline for applications is midday on Friday 15 February 2019. Through this programme, the Department of Health and Social Care, NHS England and Public Health England are working with VCSE organisations to promote equality, address health inequalities and support the wellbeing of people, families and communities. You can find out more about this fund, including dates for a series of ‘meet the funder’ webinars here. The new funding comes as part of the Government’s commitment in its recently published Civil Society Strategy which outlined plans to help charities build their digital capabilities to benefit service-users and wider society. A range of organisations based and working in England, including private sector organisations, charities, community-led businesses, social enterprises, mutuals, public sector organisations and community organisations, can apply. There is £1 million available for this round. Grants of between £10,000 and £170,000 are available and will be awarded for the financial year 2018/19. The funding is for the expansion, improvement or re-working of an existing digital leadership training programme which will result in greater value added to civil society leaders with regard to their digital leadership capability. An expanded, improved or re-worked training programme does not necessarily mean a ‘scale-up’ or ‘expansion’ through an increase in the number of training opportunities provided. There is also interest in funding programmes which improve the learning experience for participants, for example through improving the method of learning, even if the numbers of participants remain the same. Another way to ‘re-work’ a programme to result in increased value added could be to use the funding from this grant to subsidise the cost of training for participants. Funds must be spent, and all projects and activity must be delivered in full by 31 March 2019. The deadline for applications is 7 December 2018. The Masonic Charitable Foundation and Hospice UK are working together to provide grant funding to 15 local projects across England and Wales that will develop bereavement support to address the needs of local people who are currently under represented. The aim of the programme is to widen access to hospice bereavement support by developing and extending support to bereaved people who may not have had access to services from their local hospice and other local organisations. The purpose of offering such support is to enhance the wellbeing of bereaved families or individuals. The funding encourages new projects to be developed and implemented in partnership with others in order that they complement existing provision and are integrated in systematic ways to reach more people. Pre and post bereavement support for people who are caring for a loved one with dementia. Pre and post bereavement support for people who have learning disabilities. Bereavement support for the lonely and isolated in the local community. Services for children and young people when a parent or significant adult has died, for example online support/social activities. Putting into practice or piloting a project from the recommendations or findings from a local scoping exercise, robust needs assessment, patient and public involvement. Adapting existing activities where, through the investment of additional resources, greater impact can be achieved through adoption of new roles and approaches. A total of £300,000 is available for this round with the expectation that 15 local hospices will be awarded grants. Grants of up to £20,000 are available to support projects running over a period of 18 months. This allows for up to three months setup phase and 12 months project delivery, with a further three months to cover any unforeseen delays mid project. The deadline for applications is 18 January 2019 (5pm). Grants of up to £20,000 are available for UK-based projects that respond to the local needs of the armed forces community and improve recognition of the Armed Forces Covenant. Be able to provide evidence of real engagement and partnership working – with either an armed forces charity or an armed forces unit. Successful applications have the chance to benefit from the Covenant Fund’s Digital Development Programme. Applications are assessed four times per year. The fourth deadline for the Local Grants Programme is 17 December 2018 (12pm) – for decisions by the end of February 2019. Thanks to the success of the Tandridge Together Lottery, which launched in March 2018, the fund available to local good causes this year has increased. 10p from every ticket sold goes directly into the Tandridge Together Community Fund for the Council to distribute in small grants. This year, an overall fund of £33,500 is available, made up of £16,500 raised by people buying tickets for the Tandridge Together Lottery and £17,000 from the Council’s Small Grants Fund. 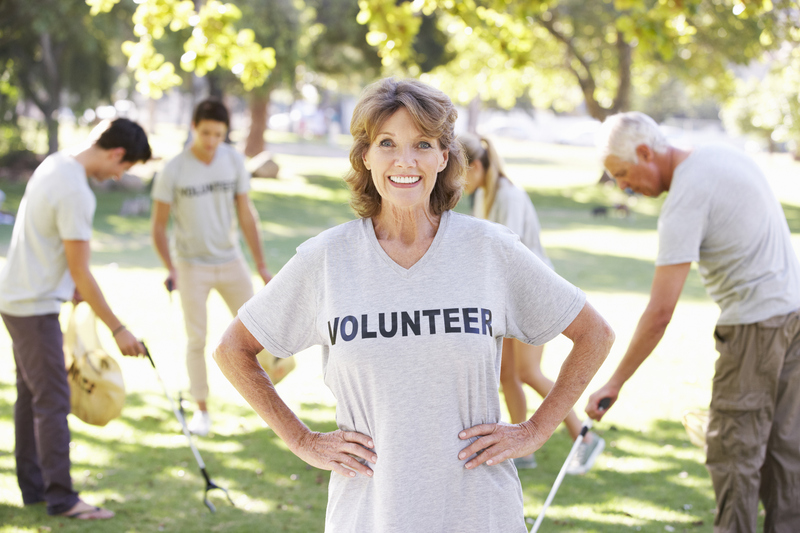 Community Foundation for Surrey have a number of funds supporting Reigate and Banstead, Mole Valley, Epsom and Ewell and Tandridge, for organisations which play an important role in the local community. If you are a group in East Surrey, they would love to hear from you! Please be aware of their revised application deadline for this next round! If you are yet to submit an Expression of Interest for funding to any of our donor funds, you can do so below. Our Grants team will review it against our fund criteria and get back to you shortly. We welcome Expressions of Interest at anytime and look forward to hearing from you! The Foundation has set out new target areas for its grant-making programme which includes the Early Years Opportunities Grants programme. 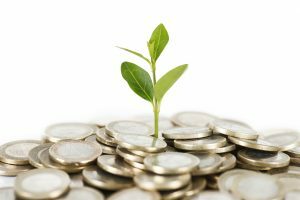 Large grants, which are for projects and can be used for salary costs, activities, materials, etc, of between £10,000 and £150,000 for up to three years, are available to charities with an annual income exceeding £500,000. The average large grant will range from £20,000 to £80,000. Occasionally, large grants of up to £150,000 are made for outstanding projects. Small grants, which are for core funding, are between £500 and £15,000 and are available to charities with an income of under £500,000. All grants can be over one, two, or three years. Grant amounts should not exceed 15% of the total income of the applicant charity. Charities can only apply for one grant programme at a time. Parental Support, including whole family approach. Additional educational opportunities such as improving literacy and numeracy. Individual interventions, ie. parent education, home visiting or mentoring. Encouraging healthy behaviours with regards to diet, activity and wellbeing. Alternative methods or specialist therapies to help children and young people integrate into the mainstream education system. 5 October 2018 for large grants applications (first stage). 26 October 2018 for small grants applications. 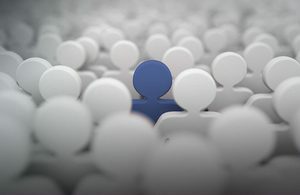 The Building Connections Fund from Big Lottery offers grants between £30,000 and £100,000 for projects that tackle loneliness. The main fund strand is now open for applications. Visit the Big Lottery Fund website for details. If you have a project in mind that tackles loneliness in young people, the Youth Strand, being run by the Co-op Foundation, may be more suitable. It will open in August and offer grants up to £80,000. Visit the Co-op Foundation Blog for more information on the Youth Strand. While the bids must be led by a voluntary sector organisation, they can include statutory sector partners. If you are interested in collaborating with the council and/or CCG in your bid, please email us. The Women’s Vote Centenary small grant scheme offers grants between £300 to £2,000 for grassroots projects to run small-scale events and activities to celebrate the centenary of women gaining the vote. Community groups, charities, social enterprises and CICs, not-for-profit companies, community benefit or co-operative societies, schools, colleges and universities are all eligible to apply. This is your last opportunity to apply to this fund to celebrate and educate about votes for women. Visit the Women’s Vote Centenary Grant website for more information. 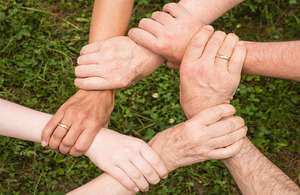 What makes an organisation trustworthy? There have been some high profile cases in recent years around funding and safeguarding issues that have had an impact on how the public sees the sector. The Charity Commission recently published its latest research into the factors that the public associate with trustworthy charities. Whether you are a large, multi-national organisation or a small, local one, trust levels are a key factor in whether someone donates to or volunteers with your organisation. Visit the Charity Commission website for the full report. Tudor makes grants to support smaller, community-led voluntary and community groups that work directly with people who are at the margins of society; organisations that support positive change in people’s lives and their communities. It is much more likely to fund organisations with less than £1 million annual income, and most grant recipients have less than £500,000 per year. One of the crucial things Tudor looks for in applications is a strong focus on support for the most marginalised – on those individuals and communities who have limited access to resources and opportunities. Visit the Tudor Trust website for more information. As part of the Government’s commitment to tackling domestic abuse, the Home Office have launched a new £8 million fund which will support interventions designed to support children who are exposed to domestic abuse. Applicants must be able to provide evidence of their ability to deliver suitable interventions to support children who are or have been exposed to domestic abuse. A child is defined as anyone under the age of 18. Project must be based in England or Wales. Or from any other suitable organisations across England and Wales. Consortium bids incorporating larger and smaller organisations are particularly encouraged but must have a Legal lead, to enter into the Grant Agreement. A total of £8 million over the next two financial years (2018 – 2020) is available. Organisations must bid for a minimum amount of £500,000. While there will not be a formal cap placed on the amount an organisation can bid for, it is expected all bids to be scalable. The deadline for applications is 19 September 2018. If your organisation works to improve the health and wellbeing of people in the UK then check out the GlaxoSmithKline IMPACT Awards. The awards provide funding and training and development for charities doing excellent work in a health related field. Administered by the King’s fund – ten award winners will receive £30,000 unrestricted funding with one overall winner receiving £40,000. There’s also awards for runners up of up to £3000. So it’s well worth a look if you are working in this area. If you are not a charity working in a health related field there is still loads of info on funding available to you on Funding Central. Among the thousands of funding opportunities is theTrusthouse Charitable Foundation offering grants for organisations working in community support, arts, education and heritage projects in areas of urban deprivation or remote, deprived rural areas. Work through advice and online tools. Applications for the #ChristmasChallenge18 will open later this month and after a record breaking campaign in 2017, we are looking for more charities to take part than ever before. The Christmas Challenge is the UK’s biggest online match funding campaign. It launches on #GivingTuesday and brings together hundreds of #charities in one high profile campaign to raise millions of pounds for charity. The Christmas Challenge gives you the chance for your donors to double their donations to help you raise vital funds for your work. It takes place from midday Tuesday 27th November – midday Tuesday 4th December. Applications will open on Monday 21st May. For more information, please see here. How does it work? Watch this quick video to find out more. The funding can support project activities, operating costs, organisational development and capital costs and can support work for up to five years. * Bring people together and build strong relationships in and across communities. * Improve the places and spaces that matter to communities. * Enable more people to fulfil their potential by working to address issues at the earliest possible stage. Organisations that are interested in applying will need to have an initial discussion with the Big Lottery Fund about their proposed idea. If the idea is accepted, the Big Lottery Fund panel of staff will then invite a full proposal. ‘Bags of Help’ is Tesco’s local community grant scheme, raising money from the sale of carrier bags, to fund local projects in communities across the UK. Projects that bring benefit to their community will get the green light – these range from improving community buildings and outdoor spaces to buying new equipment, training coaches or volunteers and hosting community events. Each year the Hilden Charitable Fund allocates a small budget to help community groups run summer play schemes for the benefit of disadvantaged children aged five to 18 years in the UK. * Summer play schemes for children aged five to 18 years. * Local schemes lasting for two to six weeks. * Schemes with strong volunteer support. Some priority will be given to projects that show they are inclusive of children from refugee families and show involvement of Black and Minority Ethnic (BME) groups. Applications are invited from voluntary agencies in the UK with an income of less than £150,000. The next deadline for applications is 1 June 2018. GRANTfinder 4 Community Update Bulletin bringing you details of recent changes in the funding world.